Natasha Lyonne spoke at Create & Cultivate's event at SXSW. In February, Netflix released the first season of Russian Doll, an eight-episode comedy starring and created by actress Natasha Lyonne. The show, which Lyonne created with Amy Poehler and Leslye Headland, follows Nadia, a 36-year-old New Yorker in the midst of an existential crisis because she can’t seem to stop dying—literally. Russian Doll not only gives Lyonne—who is known for roles in projects as varied as Orange Is the New Black, But I’m a Cheerleader and American Pie—a true showcase as an actor but it also serves as a vehicle for Lyonne to redefine her career as a creator. 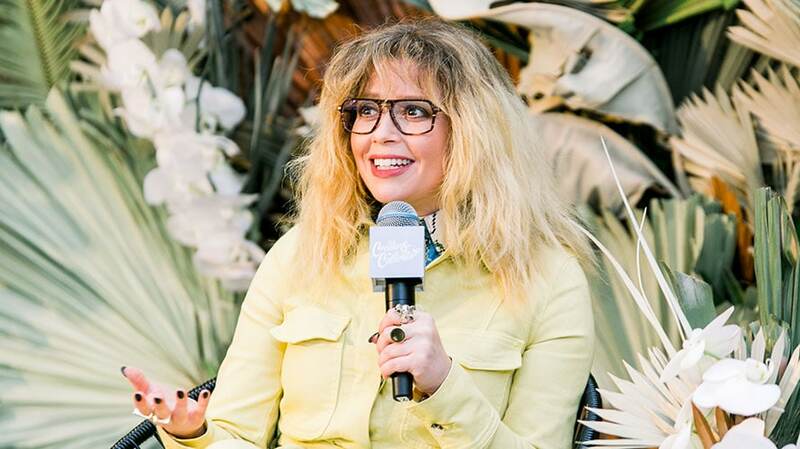 Adweek caught up with Lyonne last month at SXSW in Austin, where she spoke at Create & Cultivate’s pop-up. The interview has been edited and condensed for clarity. Adweek: Before Russian Doll, you got to direct a spot for Kenzo. What was that experience like? Natasha Lyonne: I’m new enough to all of this that it’s been interesting to see where all the information I’ve been acquiring for years [as an actor on sets] has landed in the pocket of my subconscious. With the Kenzo thing, I was still a little less bold around telling you exactly what the movie meant to me. What’s funny is that they have some similar threads, and I almost could catalog the Kenzo movie as “daddy issues” and Russian Doll as “mommy issues.” In one it’s Maya, and in the other it’s me. But both lean heavily on Fosse and Fellini as filmmaking gods to whom I want to bring my sacrifices. Both play with the idea of time and memory, play with the fractured psyche, play with what is health and what is sickness in a sort of human condition narrative. … Music [is shared]. They share a bit of a visual palate, and importantly, the same logo artist, Teddy Blanks. He did the titles for both. He’s incredible. And, of course, Greta Lee. So Russian Doll has some of the same collaborators of the Kenzo spot. I think it’s like sort of about finding co-conspirators and keeping hold of the good ones. This new production company—Animal Pictures, my new company with Maya Rudolph—sort of came out of the Kenzo film in many ways. So that was also amazing. And believe it or not, I kept my boyfriend through the whole thing. It’s rare to see brands create something surrealist like that. I almost like want to tell my younger self, “What were you thinking? Look at what they’re letting you get away with around here!” I think I was scared for so long. It’s been very moving to experience this new round of becoming a creator and a writer, a director, a filmmaker or producer. I’ve made so few things, but I’ve been very lucky that Humberto and Kenzo were so game. I thought it was insane when I pitched it to them, too. I couldn’t believe they were letting me get away with it. Then the level of a talent I’ve been able to bring to the table is how this stuff is, of course, getting done. That kind of ended up tracking with what I was able to pull off with Russian Doll and also that the actors were on board to go on the ride of something that I think was not immediately clear to them. You seem surprised that people are allowing you to create the work that you want to. I can’t believe what I’m getting away with making. Even Jenji [Kohan, creator of Orange Is the New Black] let me get away with a few things, which was really fun. 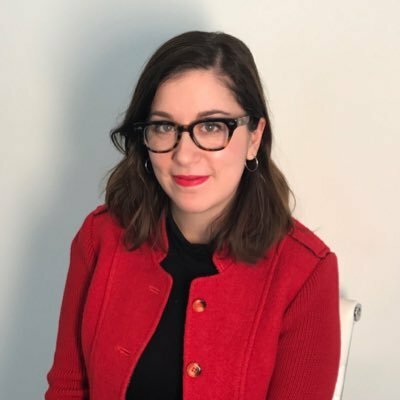 I think the truth is—and maybe this goes to sort of the experience of women—it’s been interesting hearing myself talk about work and in some ways undermining things that weren’t quite clear to me early on.